Should we be kind to our smart assistants? Hosts Ashley Carman and Kaitlyn Tiffany travel to Las Vegas for CES 2019 and chat about what it means to have smart speakers in our homes and as part of our families. Do we need to be kind to them? Director of Product Management for the Google Assistant Lillian Rincon and Editor of Voicebot.ai Bret Kinsella join Ashley and Kaitlyn to give their expert takes. Why do you use an exclusive dating app? Why do you ask questions anonymously? Why do you post on fake holidays? Why do you send voice messages? The people who love voice messages <em>love</em> voice messages. <em>Vox.com</em>’s Kaitlyn Tiffany and <em>The Verge</em>’s Ashley Carman aren’t those people. 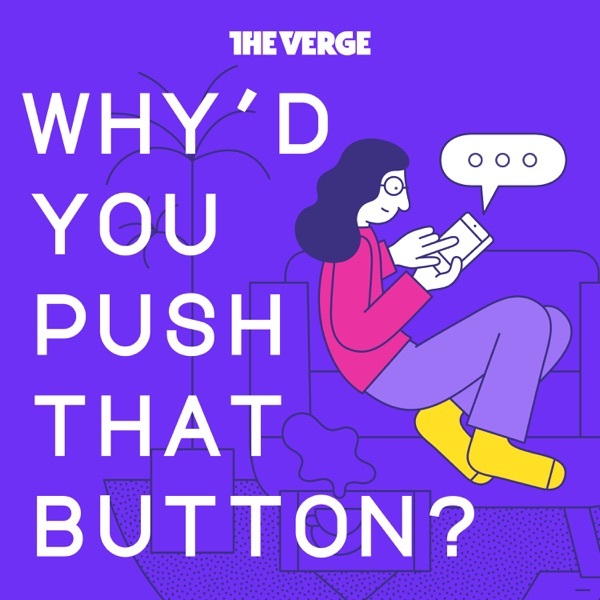 On this week’s <em>Why’d You Push That Button</em>, they discuss voice messages and why people send them. They also try to figure out why people like them in the first place.<br><br>Ashley talks to her best friend, Casey, about her habit of sending voice messages, and Kaitlyn interviews <em>The Verge</em>’s very own AI reporter James Vincent and his mom, Bridget, about their family texting dynamics. It’s heartwarming. Then, Ashley and Kaitlyn take all that they’ve learned to Djamel Agaoua, the CEO of messaging app Viber, to learn more about why people use voice messages and how they’ve become more popular around the world. Agaoua posits a few theories on why they’ve bloomed in popularity and previews how voice messages will evolve in the future. How do you choose your emoji skin tone? What makes a place Instagram-worthy? What have you bought on Instagram? Why do you text like that? When is it okay to record someone? Why do you delete your tweets? How do you break up on Instagram? Have you turned off push notifications? How do you save your Tinder date's phone number? Why is it so hard to build a successful music social network? Why do you leave restaurant reviews? Why do you have a finstagram? Why did you ignore my Facebook event invite? Do you take selfies in public? Why do you share your location? Why do you hold on to text threads? How do you send nudes? Why do you rewatch your own Instagram stories? Why do you stalk people on Venmo? Why do you share streaming service passwords? Why do you like celebrity photos on Instagram? Why do you turn on read receipts?